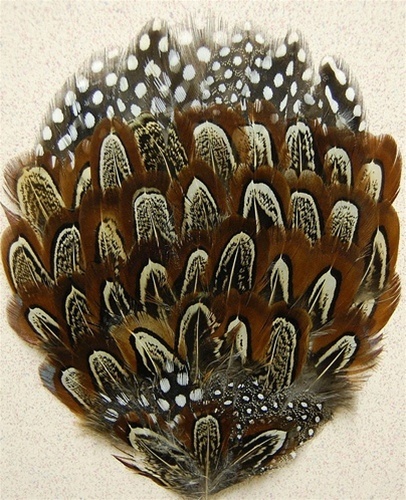 English Ringneck Pheasant Almond feather with Natural Guinea Feather combination. 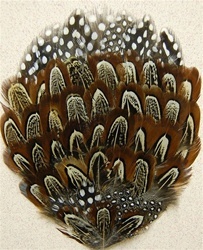 A very popular pad for many years, used in Millinery, Headbands, Crafts, Fashion and other various accesories. Sold by the DOZEN only.